Here’s an idea you may not have considered : why not collaborate with a contemporary artist on your next product launch or industry event? Marketing directors are constantly seeking new ways to interest consumers, the press and social media influencers for the launch of their next product. Let’s face it - most journalists and bloggers receive endless invitations to attend the next big launch or opening and it takes a really unusual concept to pique their interest. This is where artists come in. When you work with an artist, you enter their world. You are essentially commissioning their unique vision, concept and individuality. This does not mean that a brand who works with an artist will be subject to their dictate. On the contrary, in my experience working on this type of collaboration, artists are truly interested in understanding the message that the brand or company wishes to communicate. Their challenge is how to incorporate this message into their artistic practise in order to create something new, that challenges their work. Let’s take some concrete examples. In 2015 Toshiba had a new Portégé Z20t laptop to launch - the USP was a 17h battery life autonomy. Pretty neat. So how were they going to capture this message in their product launch? They could repeat it loudly to all who would listen. Or they could put it into action and prove it. Enter Tomokazu Matsuyama, a Japanese artist who uses digital media to create his work. They challenged him to create an entire exhibition, to be shown at the Museum of Contemporary Art in Sydney, using only the 17h battery life. The artist was of course anxious at the prospect, given that a show would normally take several months to make. But it was precisely the almost impossible nature of the project that intrigued him. Indeed many artists like to be challenged in their artistic processes as a means to push the boundaries of their work. And Matsuyama did it! While Toshiba got a unique and exciting social media campaign and an exhibition in one of the most prestigious cultural institutions in Sydney. Needless to say the press was interested. In 2016, when the brand Kate Spade opened its London flagship store, they called on artist Jennifer Rubell to create a unique and unforgettable performance piece. Rubell is well known for incorporating food into her practise. At the Kate Spade store she turned the display window into a live performance where guests were invited to recline on a soft-white bed while a doll-like beauty feed them delicious cakes in front of a voyeuristic crowd of media and passers-by outside. Of course product launches in collaboration with artists can be in other media than performance. 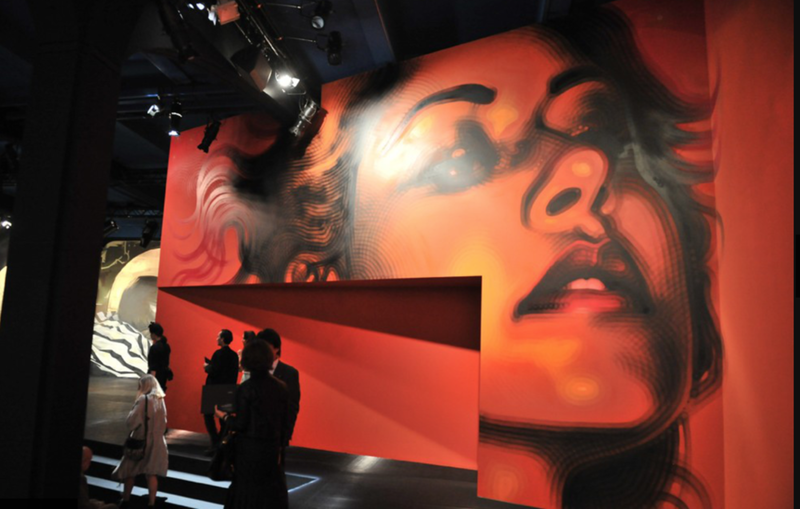 In 2014, Miuccia Prada commissioned 6 contemporary artists to paint murals for her Spring runway launch. The only limits they had were to paint portraits that represent ‘an active, strong woman’. Prada gave total liberty to the artists and was intrigued to see that, in the end, all the artists had depicted the women’s faces and not their bodies. The ensemble built a strong feeling of individuality, zeitgeist and beauty that the designer was confident would translate for the launch of her collection. The key to artist collaborations of this type is to carefully chose the artist at the beginning. Their artistic production should correspond to the aesthetics and values of the your brand/company. From then, a meeting with the artist will confirm if a mutual trust and passion for the project can be developed. These two elements are fundamental to ensure the success of the project. Why not contact us to find out what we can do for your next brand launch?